Households heating with natural gas, which is almost half of U.S. homes, are expected to spend an average of $635 on heating this winter — 22 percent more than last winter, according to the U.S. Energy Information Administration — but some easy seasonal maintenance tips can make a big difference. The attic. The attic is one of the biggest culprits when it comes to heat loss. Without adequate attic insulation, your heating system will have to work harder and will be less effective as it tries to maintain a warm temperature in the home. Statistics show that older homes, especially those built before 1980, often don’t have enough insulation. Windows and doors. Air leaks caused by cracks or holes around windows and doors can enable warm indoor air to escape and cold outside air to seep in, preventing you from maintaining a consistent indoor temperature. Murphy suggests sealing cracks with caulk or weather stripping. Exterior walls. It’s also important to look for cracks and holes around the perimeter of your home. To identify air leaks in outside-facing walls, try holding a candle near suspect areas to reveal drafts and then seal leaks with caulk or weather stripping. Fireplace and chimney. To prevent warm indoor air from escaping the home, Murphy also reminds homeowners to keep fireplace dampers closed when not in use; however, always make sure the damper is fully opened before starting a fire. You also should inspect the chimney cap to ensure that the chimney won’t have a smoke or water leak when you fire it up this winter. Heating system. Keeping your heating system running efficiently is the most significant way to reduce utility bills and stay warm this winter. To reduce the potential for a breakdown in the middle of winter, Murphy recommends having your furnace inspected by certified technicians before old man winter arrives, and consider replacing a system that is more than 15 years old. Programmable thermostats. 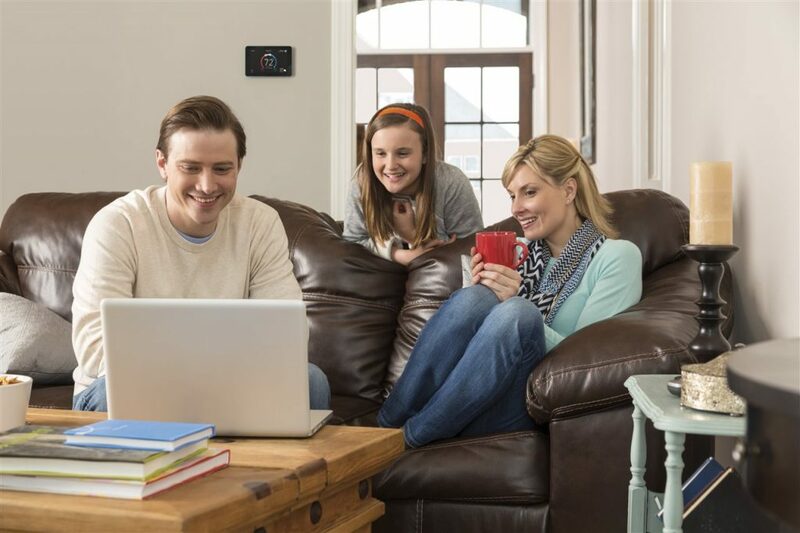 To further maximize savings on your heating bills, Murphy recommends installing a smart thermostat, such as the Lennox iComfort E30, which works with Amazon Alexa smart home devices and is compatible with any brand of HVAC system. The roof. The roof is your home’s first defense against falling rain, ice and snow, so it’s important to inspect it to make sure shingles are in place to prevent water from seeping inside the house. If large gaps are found, hire a professional roofing company to repair the problem areas. By making a few minor adjustments around the house, homeowners can help alleviate safety concerns and reduce the amount of wasted energy, all while staying comfortable during the chilly season. To learn more about home energy efficiency and how to save money on utility bills, visit https://www.lennox.com or on Facebook at https://www.facebook.com/Lennox.